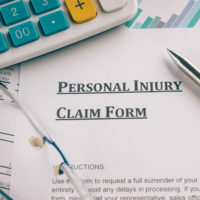 Unless someone falls under a very specific exception, every employee is entitled to make a workers’ compensation claim if they are injured on the job. However, some employers will take the news of a workers’ compensation claim as a personal slight, or see it as somehow undermining their authority, and may take what is referred to as negative employment action – in other words, retaliation. If you suspect you have been retaliated against after filing for workers’ compensation, you do have options to seek redress if you can back up your assertions. Florida’s statute concerning workers’ compensation and retaliation is extremely clear. It states that no employer shall “discharge, threaten to discharge, intimidate, or coerce” any employee because that employee has made a claim for workers’ compensation. Workers’ compensation insurance exists in order to get employees back to work, and it is in the best interest of the worker and the employer (though they may not see it) to provide it, so that workers are not reduced to penury through one unfortunate accident. There are three points that an employee must be able to show in order to make a claim that they have been intimidated or coerced, or wrongfully terminated due to their workers’ compensation claim. The employee must be able to show (1) a statutorily protected expression – in other words, an action or speech that is protected under state law, such as filing for workers’ compensation; (2) an adverse employment action, such as demotion, pay-docking, or termination; and (3) a causal relationship between the two. You must be able to show that the adverse action came about as a direct effect of the workers’ compensation claim. The most difficult part of a retaliation claim to prove is almost always causation, simply because your employer will always give a benign reason to explain your disciplining or termination – for example, alleged poor job performance. But it is possible to try and disprove this statement, and most often, it is done with relevant evidence from your workplace. Witnesses or documentation may give the lie to your employer’s assertions, or at the very least, cast a reasonable doubt on the veracity of their claims. If you do believe that you have enough evidence to file a claim of retaliation, you are able to do so either with the Equal Employment Opportunity Commission (EEOC) or with the Florida Commission on Human Relations (FCHR), as both agencies work closely with each other. Retaliation claims are among the most common type filed with the EEOC, so do not fear that you are somehow alone or you are being unreasonable in reading bad faith into your employer’s actions. With the right evidence and the right attorney, your employer can be held accountable for their actions. If you have been retaliated against, or you suspect that you have, it can be a scary time, and you may feel powerless. However, you do have options, and you do have a chance to ensure that your good name is restored. The Orlando workers’ compensation lawyers at the Hornsby Law Group have fought for many workers mistreated by their employers simply for exercising their rights, and we will work hard to ensure you have the best chance possible to succeed. Call our office today to schedule a consultation.